Here’s a wine I’m only writing about because I’m drinking it, at home, right now, and it’s making me happy. I don’t know many people who buy German wine. The bottles have funny shapes. Tesco’s don’t stock many, and never display them prominently. The labels are full of words, some of them with a lot of syllables, and many of them written in comedy gothic fonts, like the titles from a 1940s version of Dracula. Indeed, I’m one of those people who don’t buy German wine, as a rule. The last time I bought one I was in Germany, and didn’t have a lot of choice about it. I’m not sure what it is about riesling that turned me so strongly against it. Clearly, deep in the recesses of my mind lurks some pretty horrific early experience, a memory that my brain has had the good grace to repress but my subconscious won’t let go. But again and again I’m finding examples of impressive quality at decent prices – even Jacob’s Creek make one (of which more shortly) – and here’s another. Green apples, elderflower and apricot on the nose, gentle acidity on the palate, dry (trocken: the first German word for any wine-lover to learn) but in no way austere, citrus zest and those apples again. It’s generous and delicious and cost a bonzer £11.24 from Waitrose in their last 25% off everything extravaganza, and precisely £3 more than that online now. Stylish stuff. 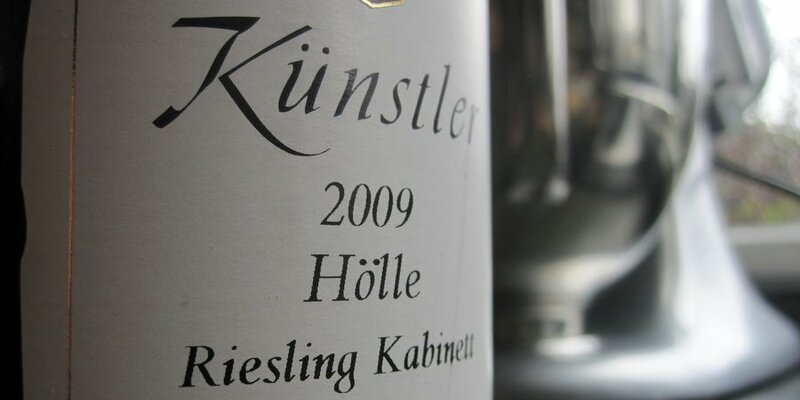 This entry was posted in Uncategorized and tagged german, kabinett, kunstler, riesling, white. Bookmark the permalink.